A farmhouse renovated with care and passion respecting traditional architecture and materials, you will rest in spacious and well cared for details, furnished in a simple and at the same time refined; around you you will not hear any noise, only the silence of the hills, and you will find yourself immersed in a warm atmosphere, where the colors of things will tell you about the beauty of the past, an environment created with care and attention, that seems made for ... "to dream in the hills"
• The apartment has a full kitchen with cookware, dishes, cutlery and accessories, bedroom with double bed + bunk bed, bathroom. The initial budget includes bed linen and towels; weekly linen change. The landscape, the food, the wine, the 'hospitality and the air family who will welcome you will remain in your heart. Staying at the Holiday House "The Boas", you will have the ability to: hiking, sightseeing in cities, sports, visits to parks and water day in optimizing the needs and tastes of every visitor. 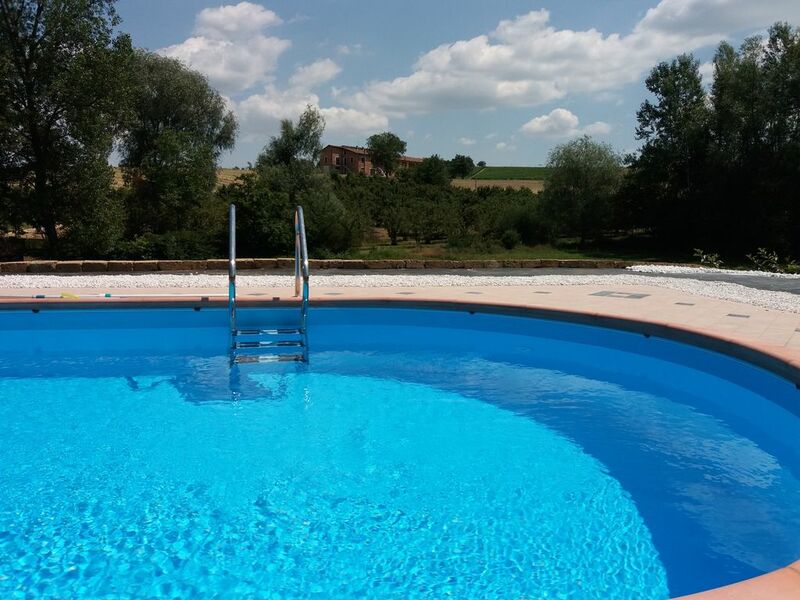 The family Lovisolo, proprietary environments, is available for every need and will be pleased to provide any information to better organize your vacation in Monferrato. Despite being placed one step away from all major city services, the property is situated in the countryside and landscapes that open all near the Cascina are typical of the Monferrato hills, characterized by fragrant vineyards of Barbera, Cortese, Dolcetto and Moscato. Located between stretches hill out of sight, ancient villages and castles perched, a succession of rolling hills planted with vines whose rows draw strict geometries. Set amid magnificent scenery of the Monferrato, which became a World Heritage Site and a few km from the Langhe, Roero. These are areas of production of wines of excellence and international quality - such as Barolo, Barbaresco, Asti Spumante and Barbera d'Asti-made thanks to a rich heritage of knowledge and techniques, based on the deep knowledge of the vines here cultivated for centuries (Nebbiolo, Moscato Bianco, Barbera). Our area is part of the land classified by Unesco. Area that also contains important examples of the culture of wine, including the Bersano Museum at Nizza Monferrato, identified as the "capital" of the Barbera. City evocative and rich in historical testimonialze, not far from our hotel are: Acqui Terme, Canelli, Alba, Asti, Alessandria, Turin etc. For shoppers in 45 minutes from the Outlet of Serravalle Scrivia.